It was the facial hair that almost brought the Internet to a standstill; Henry Cavill, star of Justice League and Mission: Impossible – Fallout (our review), chose to rock a pretty badass mustache for the latter blockbuster, as he set about bringing the hardened August Walker to the big screen. That’s all well and good, but things didn’t exactly go according to plan. 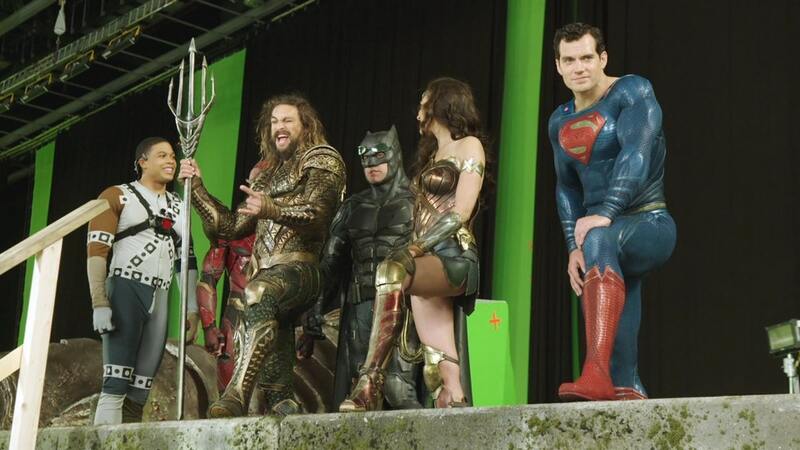 Once Zack Snyder stepped down and Justice League‘s production ran into overtime, Warner Bros. executives were left sweating over Cavill’s facial hair, before ultimately settling for a series of dubious CGI shots in order to paper over the cracks. Even from the outside looking in, it was a pretty bizarre situation, and while combing through every inch of his high-octane adventure, Fallout director Christopher McQuarrie recalled exactly what went on behind the scenes from the moment he and Henry Cavill were informed of Warner’s last-ditch plan. When the question came – the reshoots for Justice League came out – [Charles] Roven called me, and he said, ‘We need your help and we need to shave Henry [Cavill]’s mustache. We need him to come back and we need to do these reshoots.’ And I said, ‘Look, Chuck, naturally I want to do everything I can to help you, but I also have to think about our production. Let me talk to everybody and figure out what the scheduling would be.’ And I went and spoke to Jake Myers, and the suggestion was made through channels that we shave the mustache and Henry could begin to grow the mustache back and that then there would be – they would give us the resources to digitally fill in Henry’s mustache. Because like it or not, a fake mustache in close-up on a 75mm lens is never going to look like anything but a fake mustache. History tells us that the two parties were forced to settle on a compromise, one which involved McQuarrie and his team drafting up a visual effects budget that would allow Paramount to digitally add Henry Cavill’s mustache into Mission: Impossible – Fallout. The studio balked at the proposal, leaving Zack Snyder and Joss Whedon with no choice but to take Cavill’s stache out of Justice League. So, we offered the following compromise: Jake Myers calculated the amount of money that it would take to replace the number of shots, and essentially what Jake was able to project was about a $3 million visual effects budget. So, I don’t know how much Henry was in Justice League, I’ve never seen the movie, but I can tell you how much it would’ve cost for Mission: Impossible to digitally add Henry Cavill’s mustache, and we said yes. We said, here’s what we’ll do: give us the $3 million and we’ll shut down, and that will give Henry Cavill the time to grow his mustache back, and we’ll just shut our movie down. …We said we’ll do this, at which point, somebody from Paramount Pictures said, ‘What is going on? What are you people even talking about?’ They’re like, ‘There’s no way we’re going to do that.’ We were just like, ‘Okay.’ That was the best plan that we could come up with. Mission: Impossible – Fallout is currently playing in theaters across the globe (and making a pretty penny in the process). As for Justice League‘s immediate future, Warner Bros. is said to be prioritizing standalone, character-driven movies, beginning with Aquaman and Shazam!